Some of the oil industry’s biggest supporters got a lot more than they asked for in the Trump administration’s latest offshore drilling proposal. In early January, the Interior Department proposed opening up the vast majority of Alaska’s offshore areas to oil leasing. Senator Lisa Murkowski, Governor Bill Walker and others are already asking Interior to scale back, limiting oil lease sales to the Beaufort and Chukchi seas and Cook Inlet. 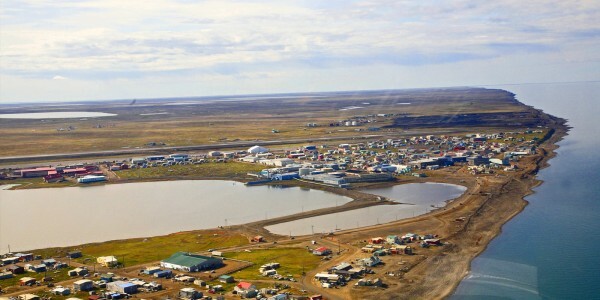 Now, Voice of the Arctic Inupiat (VOICE), an advocacy group of Inupiat leadership organizations across the North Slope, including tribal councils, municipal governments, Alaska Native Corporations and others, is also weighing in. To be clear, VOICE isn’t against oil development. Last year, the group made a big push to allow drilling in part of the Arctic National Wildlife Refuge. When it comes to offshore oil development in the Arctic, VOICE doesn’t yet have an official position. But it does have a position on how Interior went about its latest proposal. In the letter, VOICE writes those particular areas are “critical to Northern Alaska food security” — they’re used by local communities for whaling and other subsistence hunting. Rock said North Slope leaders had already made it clear to the federal government that those areas should stay off limits. “We had already worked this with the past administration and said, ‘here are the areas that we ask that you stay away from,'” Rock said. The Interior Department has not yet responded to a request for comment on the letter. However, Interior has stressed the plan is not final; it’s still possible to remove many of the areas where offshore drilling is currently proposed. A public hearing on Interior’s draft offshore drilling plan proposal is set to take place in Anchorage on February 21. Reporter Ravenna Koenig contributed to this story.